Christmas is a time for giving and what Christmas would be complete without the dreaded Secret Santa custom. By now your names will have gone into a hat and you will have undoubtedly pulled out the name of the person you’ve never even spoken to; or worse you’ve pulled out your Managers name. 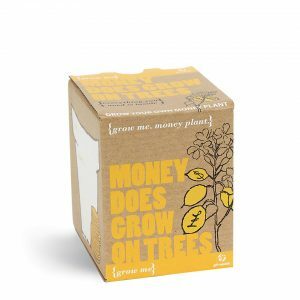 With its popularity growing every year the pressure is on to deliver yet another gift that is not only witty, appropriate and light hearted, but also inoffensive, non-embarrassing and cheap. Not an easy task. We love a challenge at Sema4 and embrace any excuse to get our thinking hats on. So, if your imagination has already put its ‘Out of Office’ on and has left you high and dry in a state of panic, then look no further. Check out our suggestions for small yet mighty gifts, that will have your recipient smiling and may even bag you that Christmas Bonus. 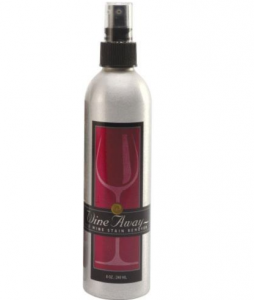 Everybody loves a bit of Vino over the Festive Period and the more we drink the clumsier we get. This thoughtful and practical gift is sure to be well received. Our quintensential british tradition with a twist. Forget the Queens speech this year. 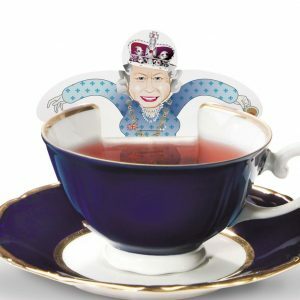 The queen will be too busy brewing you a cup of the finest tea. 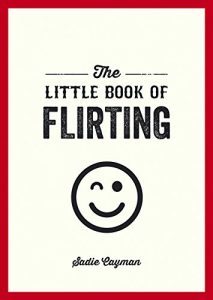 To ensure that there is someone underneath the Mistletoe ready to pucker up, here is a little to book to help with seasonal flirting techniques. 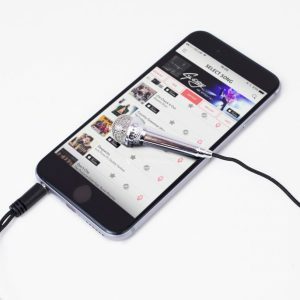 Why not continue the office party theme into your everyday with a mini karaoke microphone. Just plug it in and sing your heart out! Let just hope you are more of a Mariah Carey than a Cliff Richard! Christmas is an expensive time of year for anyone. You may not be able to promise that this present will bring your recipient extra cash, but it is said to bring good fortune and wealth to all those who posses it. Why not start your day off with a something extra special, and brighten up the most borng of Breakfasts! 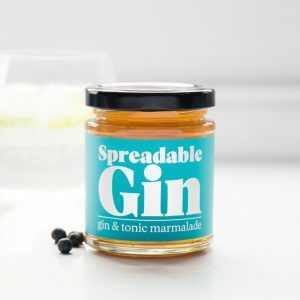 G & T now how a whole new meaning with Gin & Tonic Marmalade on your Toast. Yellow square post it notes are so last season! 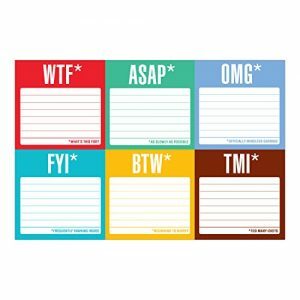 Now you can bring a bit more personality to your messages and lighten the mood in the office. Now you can snack on a calorific treat in the office without anyone knowing, guilt free! 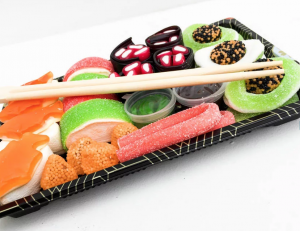 You can still look like the healthiest staff member as you tuck into this sweet alternative to sushi. Totally delicious just not quite as fishy. Snowballs you can enjoy from the warmth of the office. 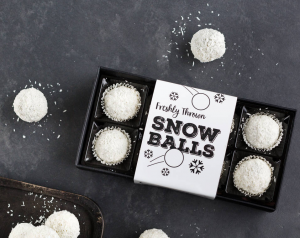 These delicious handmade chocolates have been freshly thrown in coconut, making them snowballs you won’t mind if someone chucks your way! 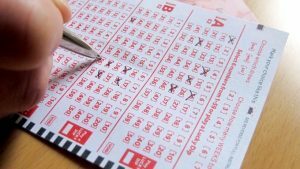 This sounds like a bit of a cop-out but is good as a last minute option, and if its a winning ticket, well, it could end up being the gift that keeps on giving!